The Chunavana Android App will ease the difficulty of finding the citizens’ polling station and assembly constituency by just a click of the button. The citizen can navigate to the polling station with ease and avoid traffic on the day of poll and reach the polling station. The citizens can now see the candidates contesting in their constituency and their details to get an introduction about who is going to serve them for the next five years. 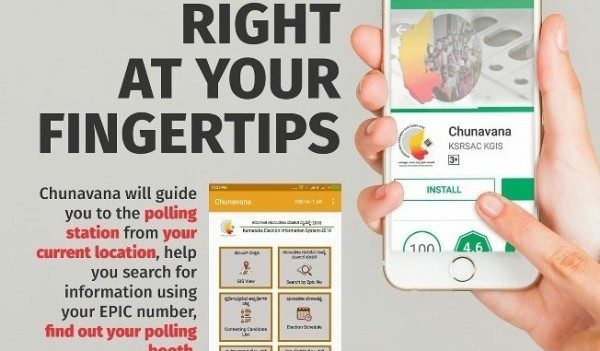 This App can locate the nearby polling booth police stations and health centers. You can search you name b y EPIC number and then directly u can locate your polling booth and also the Queue there and ofcourse it will give you directions as to how to reach to the designated polling booth through maps. And even results would be displayed on the counting day. So this time you have no reason that you did not know the polling booth. The app will allow users to read about the candidates contesting in their constituency. Some other salient features include GIS view of the whole state, 56,696 polling stations, navigation to the polling station by entering the EPIC details, information on queue status at the polling station, contact details of election officials, nearest police station and the health centre. It will also help in wheelchair booking for senior citizens and differently abled in the polling booths.